Announcing the publication of Howard’s Way: The First Five Years. Crushed by his election defeat when he stood for Ryedale District Council in 2011, Howard Croft was licking his wounds. But he was saved by Andrew Pitt, journalist at the Malton and Pickering Mercury, who asked him if he would consider writing a regular article for the paper. Howard agreed and so Howard’s Way came about – a weekly feature in the Mercury. Some readers have switched their allegiance from other local papers to the Mercury to be sure they don’t miss the latest Howard’s Way. He’s never missed a deadline in 5 years. His articles take a quirky, usually amusing, view on all things local, medical, literary, political, family, canine and international. He has developed quite a following and is often approached by his readers around and about Malton and Norton, most of whom – but not all – are dedicated fans. Five years have gone by swiftly and more than 250 articles have seen the light of day. This volume includes more than 100 of those. As well as appearing weekly in the Malton and Pickering Mercury, Howard’s columns are now syndicated in more than 50 newspapers in the Johnston Press (http://www.johnstonpress.co.uk/) portfolio*, including their flagship title The Yorkshire Post. Howard is now writing occasional special articles of local interest for the Bridlington Free Press. 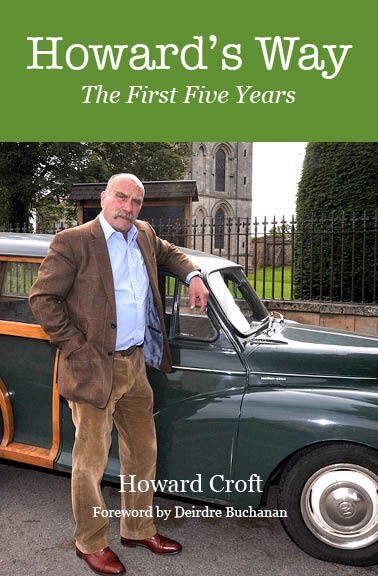 All profits from this print publication will go to the Ryedale Book Festival of which Howard is a supporter and Trustee. Published in the UK by Ryedale Book Festival, this 200-page paperback has a recommended retail price £7.99. To purchase copies of Howard’s Way: The First Five Years, please contact Howard Croft by e mail howardels@gmail.com or phone 01653 691382.